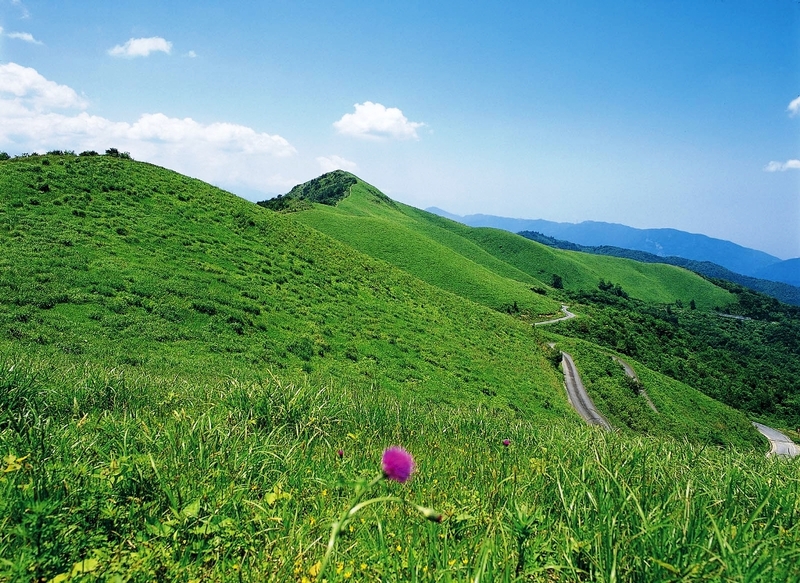 Shiozuka Plateau is at the 1,043m altitude and stretches out over both Tokushima and ehime prefectures in 100 hectares (250 acres) area. In autumn, the field turns into the shining silver with the Japanese pampas grass and on a fine day you can see as far as the Seto Inland Sea and even the Sanyo way. You will sometimes see the sea of clouds in the early morning of summer and it is breathtakingly beautiful.